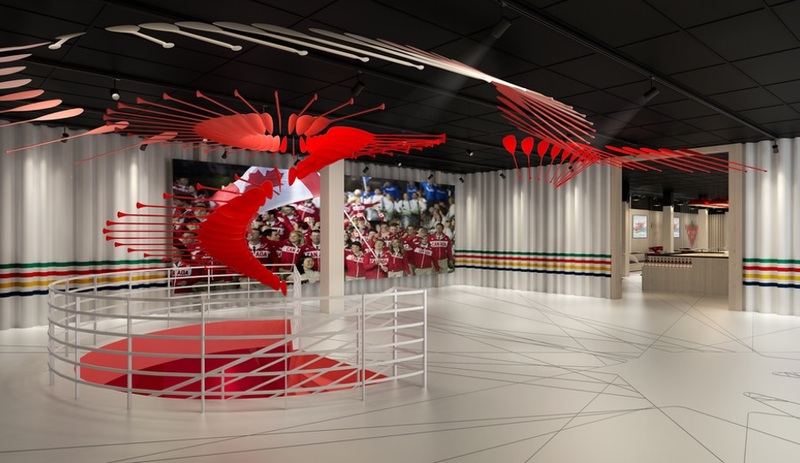 To bring gold medal-style to the Rio Summer Games, Yabu Pushelberg has collaborated with Moss & Lam and Canadian Tire on the Olympic design for Canada House. 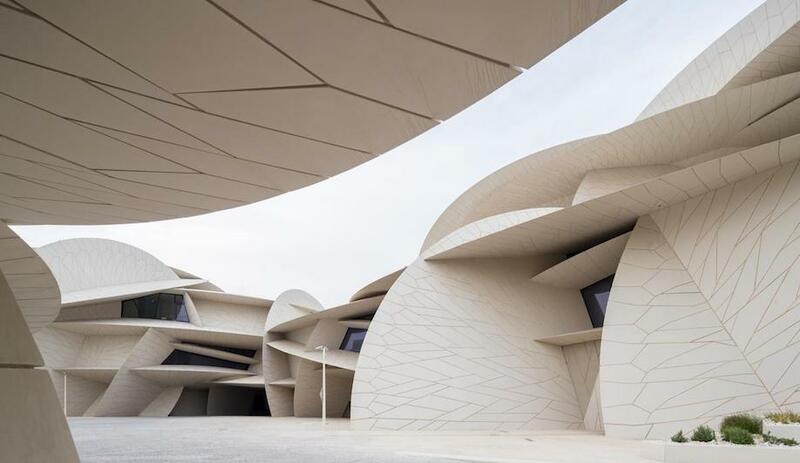 The Toronto- and New York-based designers are known for their massive portfolio of upper echelon interiors around the world. From the Four Seasons hotels in Tokyo and Toronto to Barney’s in New York, to the Dalloyau tea rooms in Hong Kong and Paris, Yabu Pushelberg has established a significant global presence. Yet they continue to emphasize their Canadian-ness. “We are a proudly Canadian company and we want to do more for our country,” says Pushelberg. 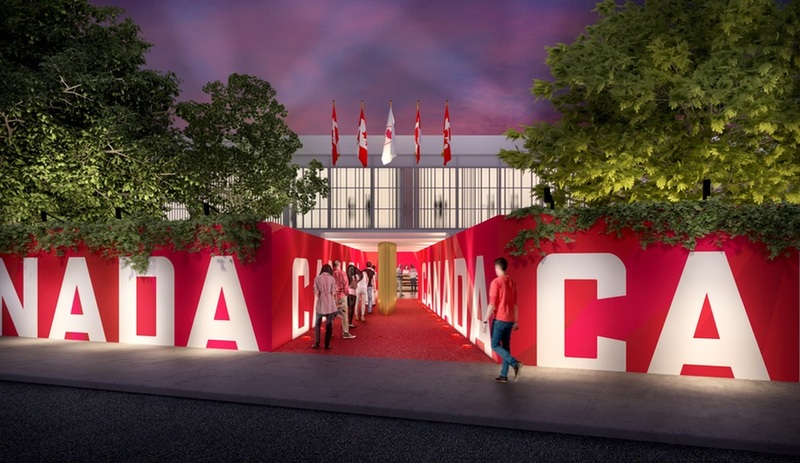 Canada House will serve as accommodations for family members and guests who are in Rio to support our Olympians. 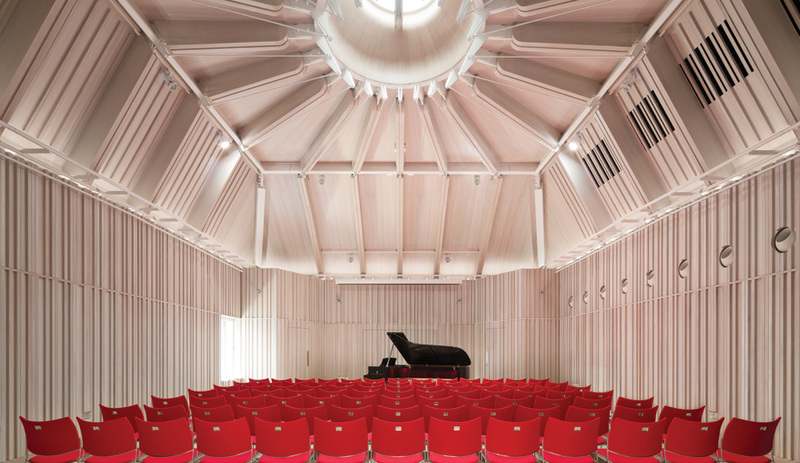 The games are an emotional rollercoaster for the athletes and their loved ones, and Canada House provides thoughtfully designed spaces to celebrate victories as well as to lament losses. This pro bono gig sees Yabu Pushelberg working with longtime collaborators Moss & Lam as well as a some surprising new one: Canadian Tire. 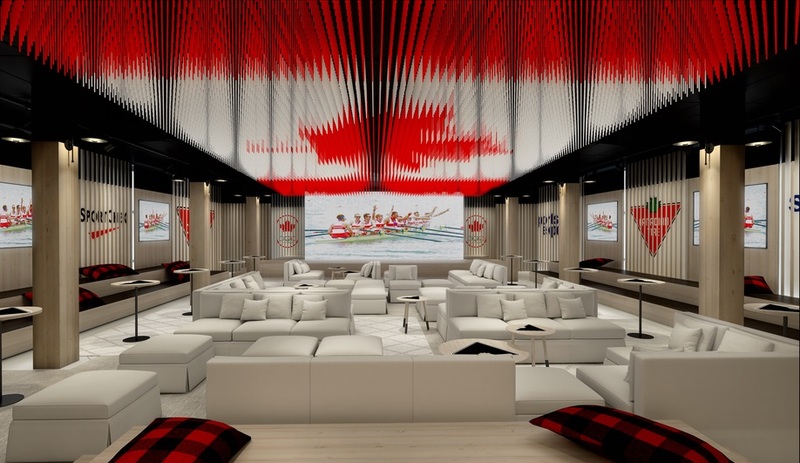 The country’s most quintessential retail brand stepped up to furnish Canada House, as Canada’s Olympic initiatives and programming relies on the support of sponsors. Yabu Pushelberg’s Canada House was designed using furniture donated by the country’s quintessential retailer, Canadian Tire. Moss & Lam’s art installation was built with help from students at Etobicoke School of the Arts, where Deborah Lam established a scholarship in the name of her late husband and partner, Edward Lam. 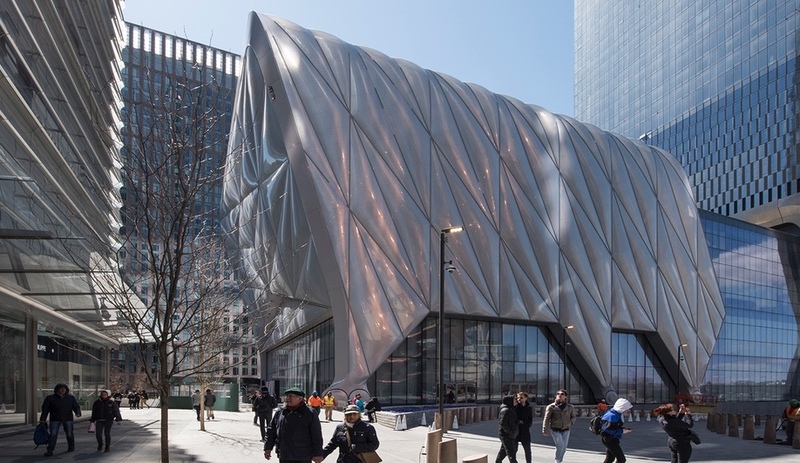 Yabu Pushelberg’s Canada House is currently being ferried across the ocean to Rio de Janeiro, where it will be met in a few weeks’ time by a team from the studio that will oversee its installation in an existing aquatics centre. 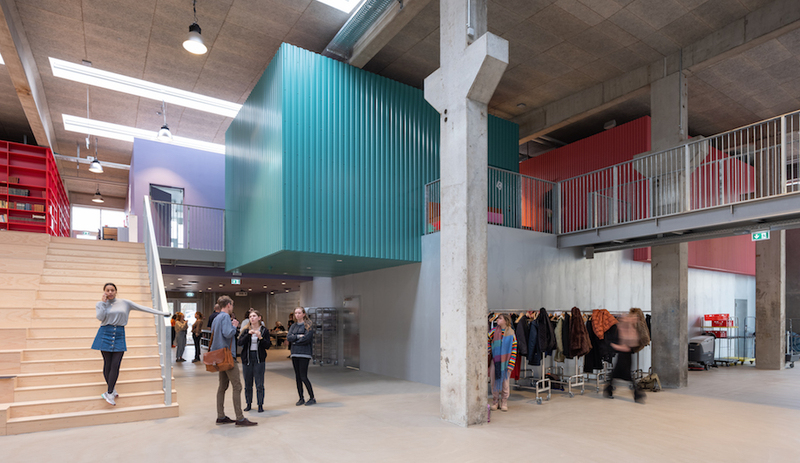 “It was built in the ’90s, so it’s a bit dated and utilitarian. But the people there are so excited; they want to keep some elements after the Games,” Yabu mentions. 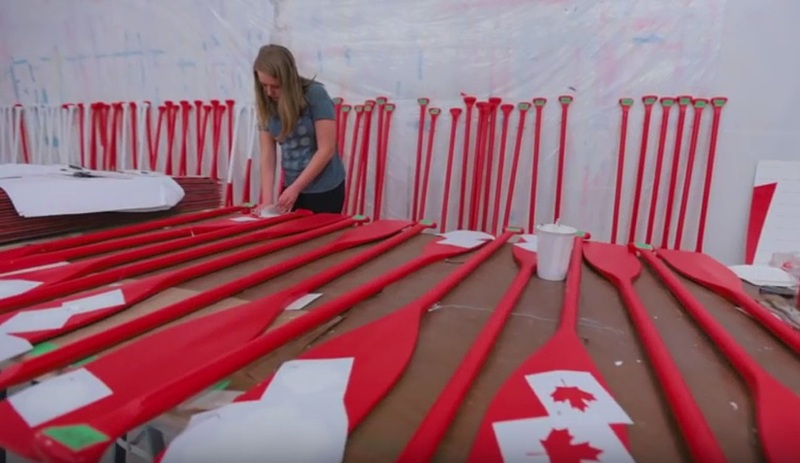 While they likely won’t hang onto the Canadian flags that dominate the design, the red and white palette makes clear that no matter how the Games go, Canada will be leaving a lasting impression. 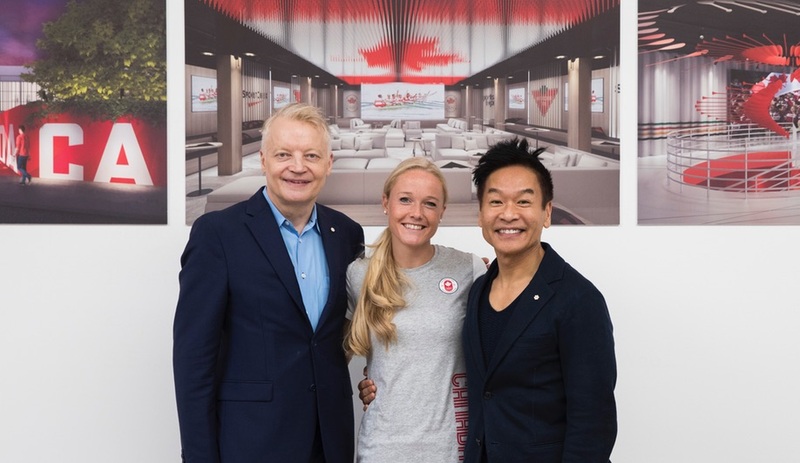 Glenn Pushelberg and George Yabu with Sarah Wells, a Canadian Olympian who competed in London, in 2012.